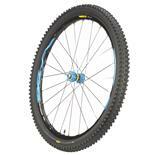 Sizes: 16", 18", 20" and 22"
Stiff and has room for a set of 2.4” wide 29er tires. Holds up well to all sorts of riding and is pretty light. Not the most efficient geometry and doesn’t really have enough give to absorb anything a standard hard rail can’t. This bike does it all you can race it (its light), tour it (bikepacking), or just cruise efficently on virtually any terrain - from gnarly singletrack to endless gravel grinds. Its a 29er. Accommodates only 80mm of front travel, limited tire size for rear. Some earlier models had problems with frames cracking, later ones do not. The bike has been discountined, although Salsa hints ever-so-often that they may bring it back, lets hope so. This is the swiss army knives of mountain bikes, a common analogy is that the Dos Niner is a hardtail - "with benefits". I have raced my Dos on tons of singletrack, ridden endless miles of fire roads and have even pondered bikepacking it into the wilds. The frame is light but sturdy, being made of Scandium which I refer to as "poor mans titanium" If you cant afford a Moots Moto YBB, then the Dos is the next best thing. Long live the Dos Niner, I love mine! No other frame competes with this frame near this price point. No, a Reynolds 853 29er HT is not as "compliant" - I know, I have one and dig it. 1" of rear suspension allows you to sit through a lot of stuff you simply can't on a HT, plus you can ride through messy stuff better/faster (you'll maintain speed better, but acceleration is not that of a HT). Will it climb like a rigid 29er SS? Of course not. This bike is a great compromise between HT and FS, for those who want/need something more forgiving than a HT, but refuse to go FS. If you're a bit on the placid side, and like to get in the saddle and pedal, and pedal more, this is your bike. The long chainstays makes things a bit boring, but make for a smooth, stable, fast, efficient ride at high speeds. It was a good entry into the 29er world. The frame is light and pretty nimble on the downhills. Climbs well enough when the fork is locked. The frame felt spongy and flexy. The standover height made for some awkward moments during unexpected dismounts. Frame was easily dented and the flexing rear end ultimately failed after 3 years. The Dos Niner was my go to bike for the better part of three years (singletrack, dirt roads, races and commuting). I eventually rode the life out of it. The frame failed at welds of both chain stays where it meets the bottom bracket. Scandium like aluminum can only take so many flexes before it fails and unfortunatly the flexing of the rear end is a "feature" that will ultimately cause the demise of your ride. I really could not tell that there was 1 inch of travel in the rear end. Since the 1 inch of travel adds extra weight and reduces the lifespan of the frame I would encourage you to look to a true hard tail. I'm now on a Gary Fisher Rig Single Speed 29er (rigid front and rear) and am amazed at how much faster I can get through the roots and rocks of the woods. The Dos Niner was a good bike but the geometry and flexing of the frame made it tough to ride in really technical stuff. The faster you went the better it was but the slow tricky stuff was not where it shined. 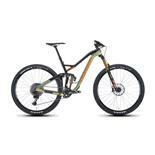 Gary Fisher Rig SS 29er. Love it. Great light frame that can be found at some killer prices if you look around. Shock is very close to 'set it and forget it'. Climbs like a hard tail, descends like a soft tail. Great bike for the LOOOOOONG days! Cable routing for rear brake is poorly thought out & requires a zip tie in the middle of the top tube. A very underrated bike in the 29er world. Rides better than steel, lighter than steel, way lighter than full suspension rigs, great customer service from Salsa. Awesome build up, and this bike is extremely comfortable, I usually do 20-25 miles a day and this thing is very nice. The rear 1" takes just enough of the edge off. So much better than my old Gary Fisher Ziggurat hardtail. Couldn't ask for a bike to treat me better. If you are looking for a awesome bike that not everyone has you found it. This bike takes everything I can throw at it and I am a big boy. 6'3" 260lb. tried and true. well developed with a strong concept that was followed through with. Right away I was able to get into the 29er attributes without any problem. This was a surprise as other 29ers felt strange after hours of riding. Good alignment on all mechanicals,good welds. no problems with QC. It didnt feel as foriegn as other 29ers. It wasnt squishy. I like "softails" (scaples)as i dont feel like the bike is making me lazy. I ride full suspension 26ers sometimes, and also steel hardtails. So far I think this bikes takes the best of each and puts it together. I can ride it for 2 hours and get a good workout without feeling that "jarring" over rock gardens or roots. The 29 advantages allow you to rest more often in the flats but keep the flow, and that allows you to have energy to hit it when the trail ramps up and you have to crank it. THis is a good direction in mountain biking. This is a good bike and it was a hard decision. The components and concept behind pushed me in its direction. I am picky with bikes and I would buy this again without thinking twice. I havent ridden my other bikes since i got this and dont think i will for a long time. 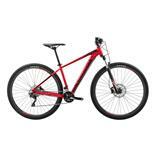 If you like hardtails and their qualites, but see advantages in full suspension, go ahead and Buy it. Its a good bike. Extra cush the soft tail provides is fantastic. 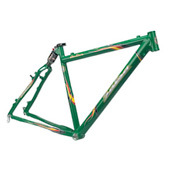 Frame is still relatively lightweight and it won't break the bank to buy. I love this bike. I have been riding 26" full suspension for a long time and I don't feel the need to ever go back now that I have the Dos Niner. I wouldn't say it is as plush as a 26" F.S. bike but paired up with the bigger wheels and a good tubeless setup it certainly provides a nice level of comfort. All this while still remaining nimble in tight single track and climbs like a hardtail. I'm around 170 lbs and run the rear shock with no more than 5 psi and I have even run it at zero pressure. This is my first 29'er and after holding out for a long time I am pleased I made the switch to bigger wheels. The 80mm Minute fork feels like it has as much travel as my 100mm R7 that was on my Superlight. I recently raced this bike to a personal best finish on a course I have done for many years. Excellent product! Thank you Salsa!! Not really similar but a Santa Cruz Superlight and Giant NRS Air, Specialized Stumpjumper hardtail, Gary Fisher Procaliber Ltd. (carbon) hardtail, Gary Fisher X-Caliber steel hardtail. I really like this bike. I got very lucky and found a brand new 2006 model on Ebay in 2009. I had a Niner MCR9 which is a great bike, but I was looking for something lighter that had a little more of a cush ride. The Dos was very intriguing to me. The Relish 1" shock combined with the 29er wheels makes for a comfy ride. I have mine built up at 26lbs, and she flies! For me, it combines some of the attributes and benefits of a full suspension bike with the simplicity of a hardtail. It's by no means full suspension, but does help take the edge off rougher trail conditions and helps provide an even smoother ride to compliment the already smooth rolling 29er wheels. I also like being able to stand and hammer without the suspension bob. The only weakness is the paint does seem a little on the fragile side, but I put Bonk frame protector on the underside of the down tube and in other key locations. I have been running a Maxxis Ignitor 2.1 front/Crossmark 2.1 rear combo with great results. 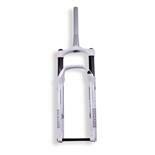 If I want an even more compliant ride, I will throw on a WTB Weirwolf LT 2.5 front/WTB Exiwolf 2.3 rear combo. No chainstay rub with the Exiwolf. This adds about 1 pound more weight. Bottom line is the frame is awesome, and I would definitely by another one if needed.